The Timmons Arts Foundation is a 501(c)(3) nonprofit organization who partners with school districts to provide musical instruments and art supplies to schools where art and music are absent, or limited, in their curriculum. It is important that students be exposed to all forms of art and music because the proven benefits are endless. As such, we cannot afford to lose such an integral part of a comprehensive, quality education. Timmons Arts Foundation is responding to this need by continuing, and establishing, new visual arts and music programs to ensure that all children have equal access to a complete education. Our vision is to assure that art and music education is present in school curricula across the state. Timmons Arts Foundation helps districts develop long-term, sustainable instrumental music programs that provide children with equal access to music education. Learning through the arts is an essential component of a quality, well-rounded education. Research indicates that the study of music and visual arts assist with the development of cognitive skills, communication, creative thinking and more. Our foundation is based on ‘FAMILY.’ The Timmons family has a history of artists, musicians, and entertainers. This history includes a legendary blues singer, an accomplished violinist, and a flutist. Music was a part of our everyday lives, and having the opportunity to attend art and music classes in school—in addition to the standard curriculum—proved valuable. With the recent budget constraints, state and local music programs have been cut. The Timmons Arts Foundation understands the importance of art and music, and it is our goal to infuse visual art and music education back into the curriculum of public schools’ by creating an environment that promotes and provides access to visual arts and music education. Recent research shows advantages for those who are actively involved in music. For instance, playing musical instruments enhances higher forms of thinking, increases self-esteem and discipline, develops coordination and teaches children sequential learning, which aids with reading comprehension. In addition, music uses both sides of the brain, allowing students to engage creatively, physically, emotionally and academically. Music is a gift that lasts a lifetime! The Foundation partners with Arkansas school districts to provide musical instruments/art supplies to area schools, and awards grants to selected arts and music programs throughout the state. Timmons Arts Foundation aims to increase music education and heighten the involvement in the arts within the public school system. 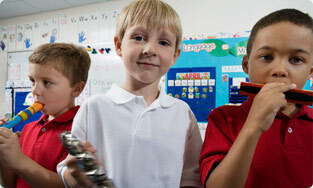 In the past few years, schools have experienced drastic cuts to their music and arts programs. By offering more funding, it is our hope that more students can experience the joys of music and the arts.